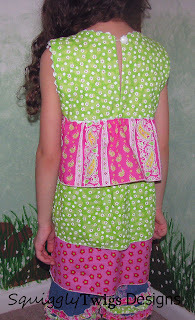 This top or dress is so much fun to make and simply cute on. 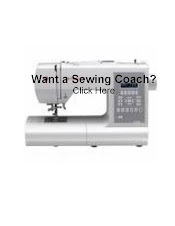 The best part is that you are assured of a great fit, because you will use a great fitting shirt as the template for your pattern. The top/dress has a lined bodice and a back button/loop or tie closure. With this pattern drafting knowledge you can make this pattern for any size, infant-adult. From the pattern you can choose the length of the bodice (empire or at the waist), and length of the skirt and ruffles. Make a tunic or a dress by simply changing the measurements. Because of it's slim design, this dress does work best at a length at or above the knee. 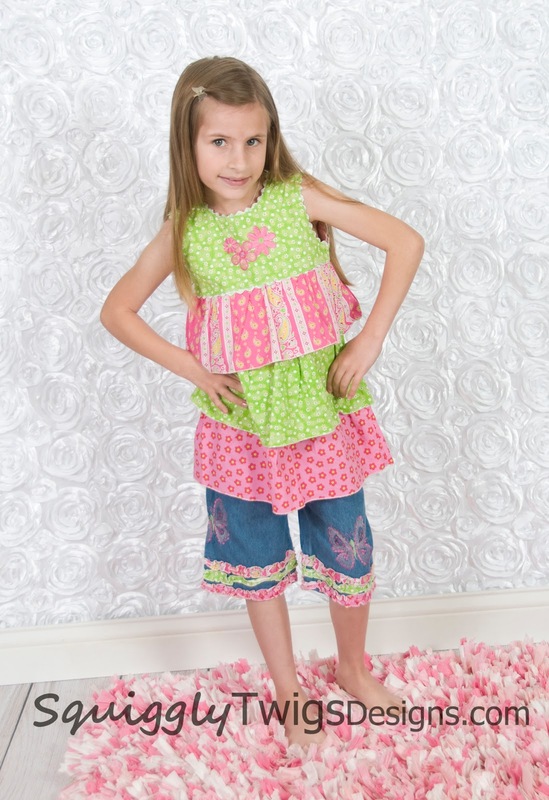 We've pictured this top with our Cute and Quick Pants in a capri version with ruffled trims at the hem. 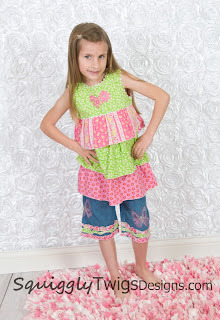 The instructions for the ruffled trim is in our tutorial section on our blog.